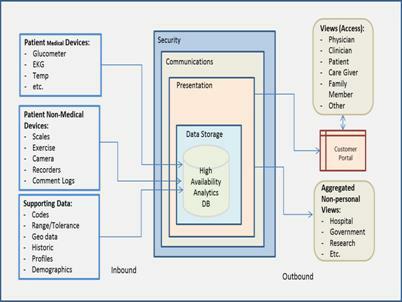 Built on the white-hot SAP HANA Platform, ADS-Medical is taking the lead in Big Data’s move to the MHealth market. Supporting a variety of devices such as glucometers, EKG devices, scales, and more. ADS-Medical provides near real-time analysis and analytics to patients and providers. Secure encrypted communication; multiple-level operations security and complete access and audit logging. HIPPA-compliant. Observation, alert and warning history by data ranges. 1. Device APIs – data input methods that handle multiple devices and multiple communication vectors.